The 300ZX was a 2 door sports car from Nissan during the great Japanese sports car boom of the 1990s and featured a host of technology in a Isao Sono & Toshio Yamashita designed body. In recent years the 300ZX's competitors (Supra, NSX, 993) have gone through their depreciation curves and the good original ones are commanding prices near original MSRP, but for some reason the 300ZX (and Mitsu's 3000GT/Dodge Stealth) have been floundering in used Mustang GT waters. What gives? Oh, not enough Veeeee Eight! Yeah. I mean yee-haw!! Whoops. That didn't help the asking price much. 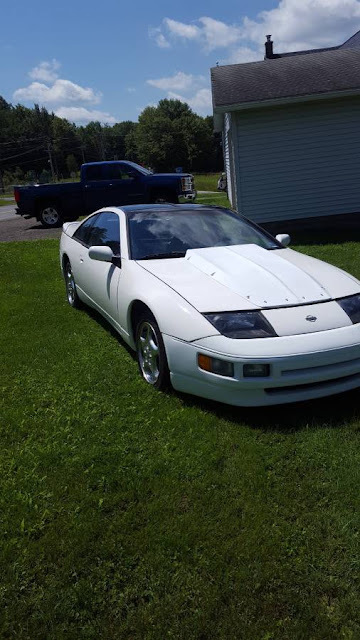 Find this 1991 Nissan 300ZX with V8 swap offered for $2500 in Scranton, PA via craigslist. Tip from Tim. I'm sure that I'm forgetting other things. The car does run and drive but as you can tell by the pictures it needs finishing touches and clean up. 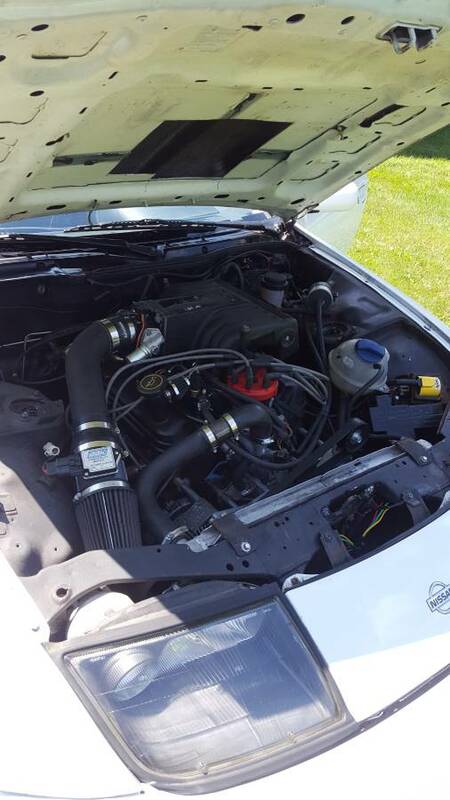 Has issues with low rpm power but runs great up top. Feel free to contact me with any questions. 2+2 more room for rollbar but not as good looking as the standard 2 seat model.